Autumn in which red and yellow autumn leaves are beautiful, in the winter when making snow makeup, the spring when the cherry tree planted all around the summit darkens the whole area pink, the green is a bright summer. 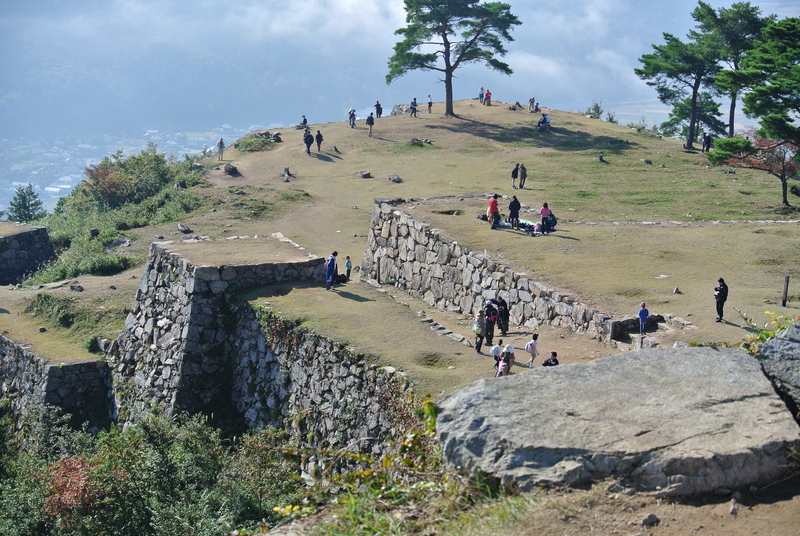 “Takeda castle ruins” showing various facial expressions with the change of the season are mountain castles where only the stone wall without the castle remains. 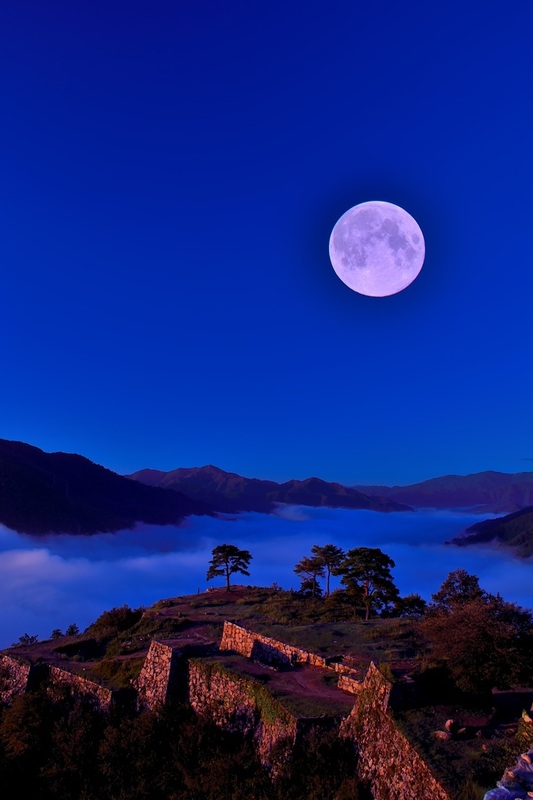 The whole thing can be seen even from a distance, the sea of clouds which appears in the time zone which light of early morning appears, and the castle ruins emerging there are fantastic and beautiful. It became popular in the spotlight in recent years. Since the shape of the whole castle site seems to be lying on a tiger, it is also called “Torafusu Castle” (Castle of Lying Tiger) and is designated as a national historic site. 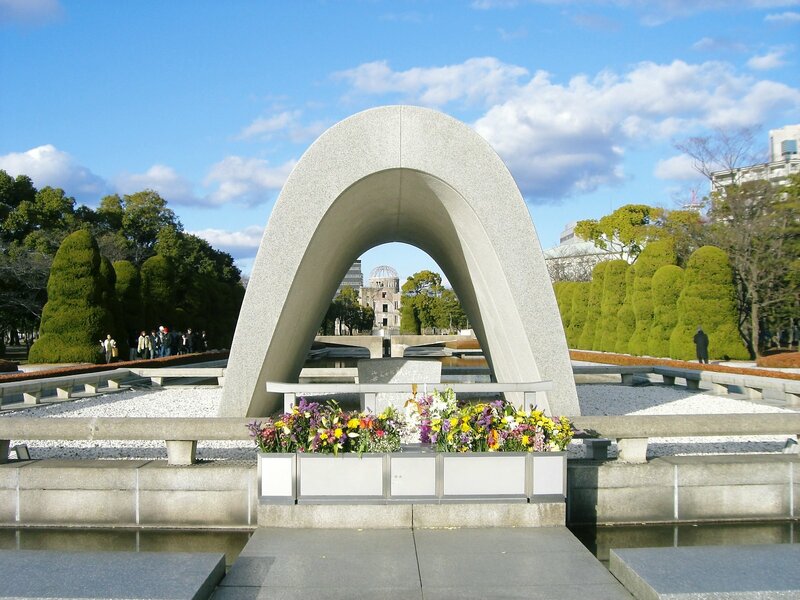 It is built on the summit of Mt. Kojo at 353.7 meters above the Ritsuun Gate east, about 400 meters North and South and about 100 meters east to west. 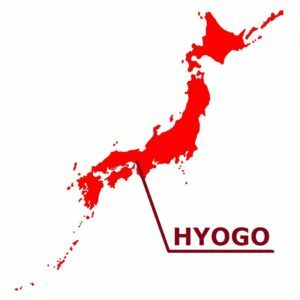 There is a tower block nearly in the center, Honmaru, Ninomaru, Sannomaru and Minami Ninomaru are arranged in consecutive form, Kitasenjo and Minamisenjo are two wings and there is a place called “Hanayashiki” in the northwestern part of the tower block. About 400 years have passed since the abandoned castle, but the stone wall remains almost unchanged, and it is one of Japan’s best mountain ranges as an existing mountain castle. 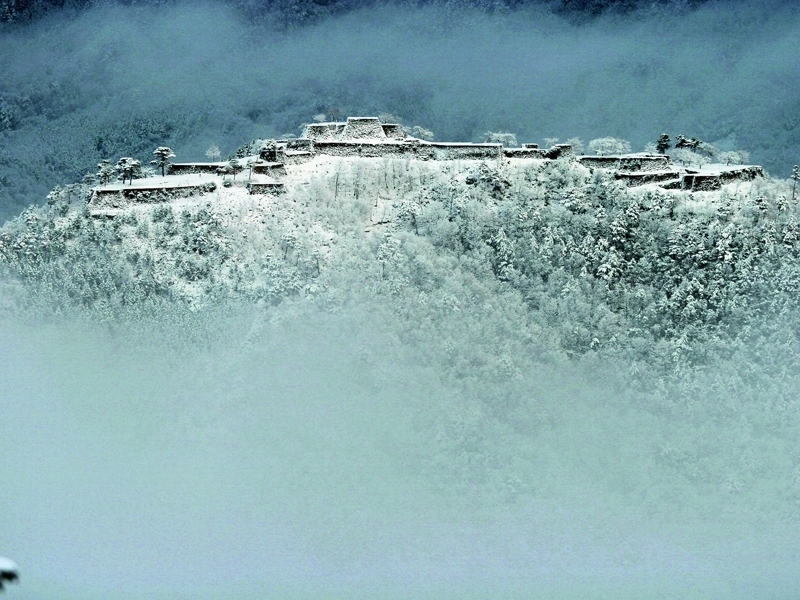 Takeda-jo Castle is also called “castle in the sky” from the appearance of floating completely in the morning fog. 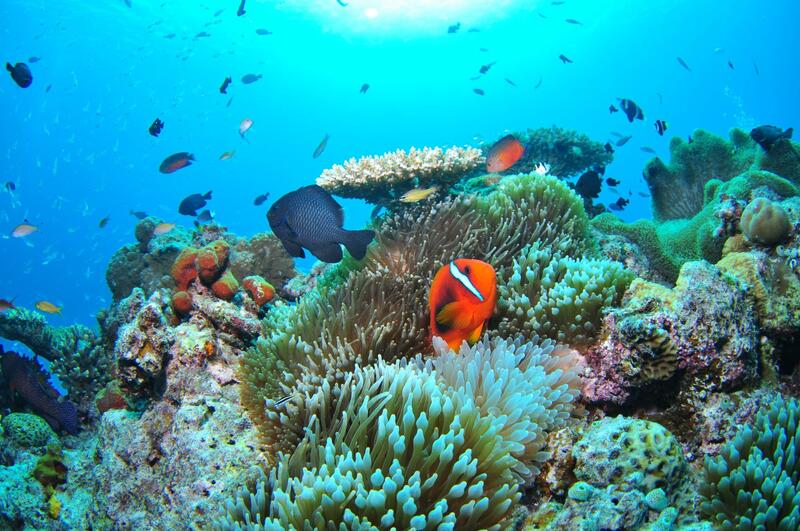 Here is a hot spot that you can see the scenery like Machu Picchu in Japan. 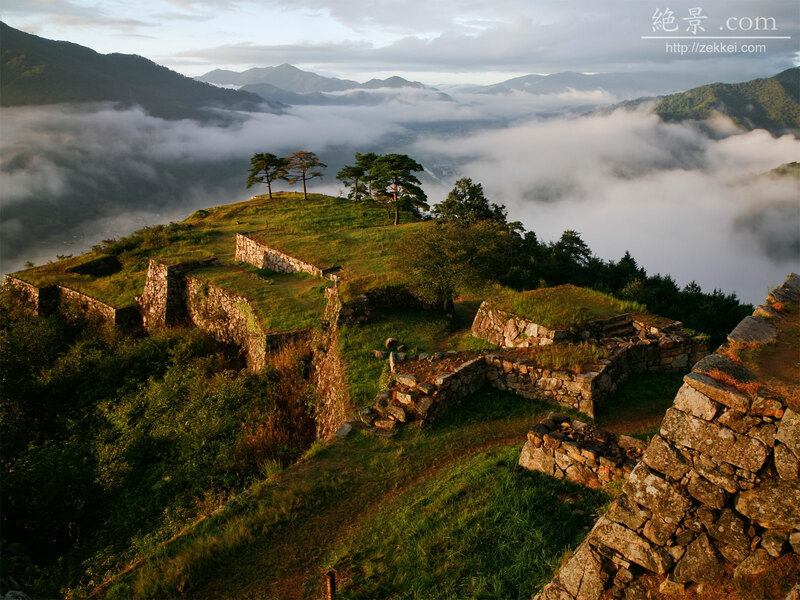 The time to see the “castle in the sky” to overwhelm the visitors is early in the morning from late September to early April, and the season from September to early December is the best season with a particularly dense fog. Time zone from morning until 8 AM is recommended. Also, snow may accumulate from late December until late February, admission is prohibited during the winter season because the road freezes and the risk increases. Since the entry ban period seems to change every year, let’s check in advance. Also, in order to see the sea of clouds, the wind is weak, it is sunny well, it seems to be good on the day when there is a temperature difference. The Takeda-jo Castle Ruins is on the west of Takeda Station, the mountaintop of Kojo-san of 353m above sea level. Tradition says that Sozen Yamana built it over 13 years in 1443, and it became the castle of the magnificent stone wall heaping up like now until around 1600. On the site of castle, which is said to be Japan’s leading ruins of a mountain castle, the stone wall, which measures 100 meters from east to west and 400 meters from south to north, are left now, and conveys distinguished air of the past. 400 years have passed after that’s abandoned, but the stone wall is left as it was, and it is a Japan’s leading scale in the existing mountain castle. It’s also chosen as one of the Japan’s 100 fine castles. In addition, the Takeda-jo Castle Ruins has nicknames of “castle of the heavens” or “Machu Picchu of Japan”, and many tourists visit it from the whole country. When the weather condition fits, it’s possible to see the ruins of the castle which floats on a sea of cloud. 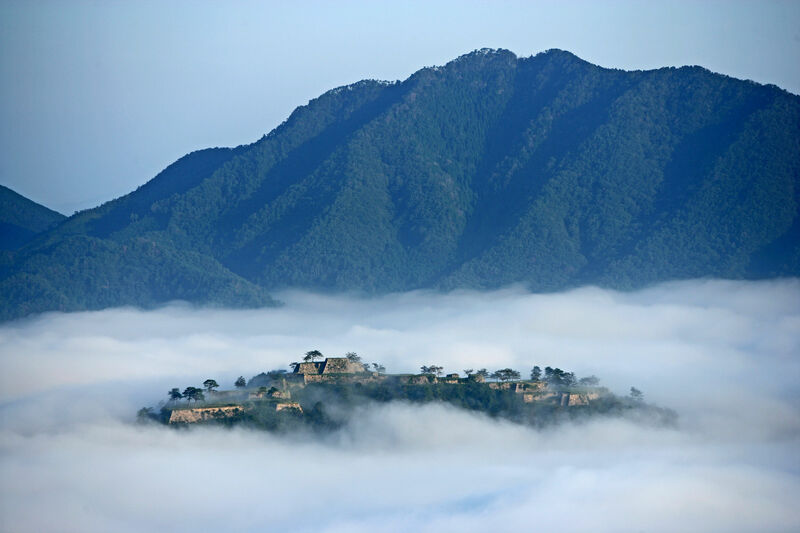 There would be many people impressed to see the photograph of the Takeda-jo Castle Ruins among a sea of clouds. Probably, it is difficult if a season, time, and the weather do not carry out just fit, in order to catch a sight floating on a sea of clouds. However, you could be felt overwhelming presence of many stone walls which spread magnificently for the summit of the mountain even if you cannot see this sea of clouds. 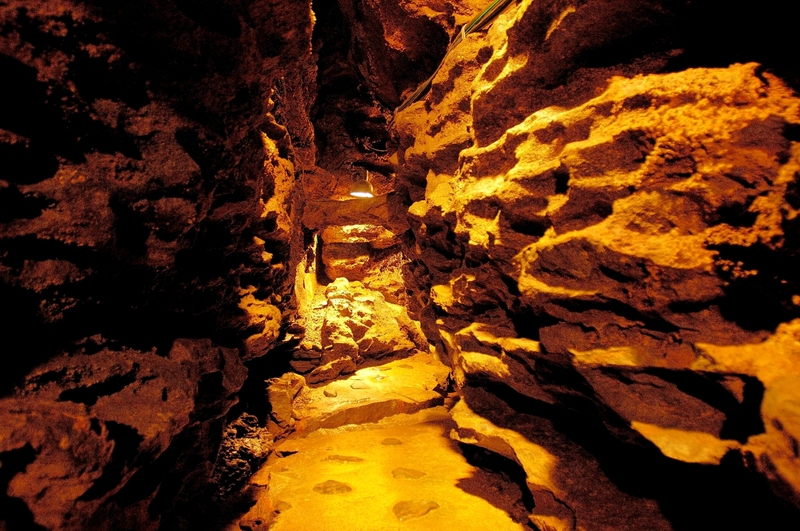 The course to the site of castle is well-repaired, but physical strength is necessary to arrive. However, the scene from the summit after having reached, the tiredness till then are blown away completely. Notice: The winter season (from January 4 to February 29), you can not enter the mountain.